It has been a heated and debated subject for some time already. 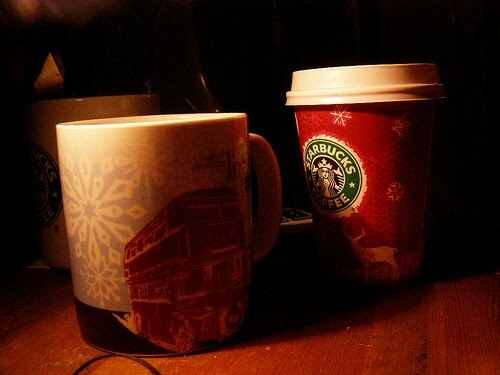 Being an avid fan of coffee, I have been one of those who strongly insist that coffee is BETTER, if not the BEST. In fact, one of my longtime online friends argue about it and we often end up discussing about the finer points of each side's health benefits. A part of me remotely acknowledges the more widely known benefits of tea, but I just cannot let go of coffee. Given a choice, I'd choose coffee in a heartbeat! (and yes, just in case you don't know, coffee is good for your heart.. antioxidants remember?) That was my initial preference until I succumbed to tasting CHAI TEA LATTE from Coffee Bean and Tea Leaf. Yes, I admit that I gracefully and sweetly ate every single word of disdain that I labeled on Tea as I washed it down with every sip of the divine soothing drink. 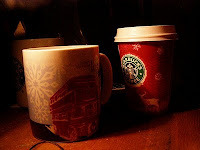 Me and my bestfriend (also an avid coffee drinker!) decided to try it after hearing a lot of rave reviews about it. Plus the fact that we were both tired from work (we are both teachers!) and wanted to sit down and sip something relaxing... which means definitely not coffee! So upon the recommendation of many, we both tried Chai Tea Latte... and fell in love! So yes, I now enjoy a cup of Tea Lattes every now and then (only if its from Coffee Bean and Tea Leaf!) when I want to relax and have a good night's sleep. 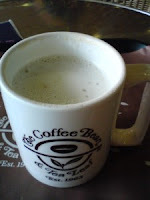 Another recommended Tea Lattes from CBTL would be Moroccan Mint Tea Latte. I recently tried Starbucks attempt on making tea lattes but it sucked real bad. I think they should just stick to coffee and their frappuccinos. Still, my first and foremost love will always be COFFEE. So what's your addiction? Coffee or Tea?